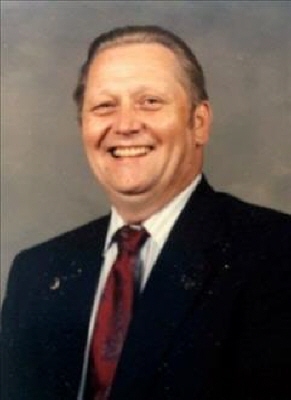 Albert Lee Douglas, age 77, of Ellijay, passed away Sunday, April 7, 2019 at Northside Hospital Cherokee. He was born February 15, 1942 to Glen Lester and Mariellen Douglas in Bridgeport, West Virginia. He is survived by his sons and daughters-in-law, Mark and Donna Elbon of Chesterfield, Virginia, Scott and Webra Price Douglas of Severna Park, Maryland; daughter and son-in-law, Lisa and Richard Holbert of Bethel Park, Pennsylvania; brother, Richard and Judy Douglas of Bridgeport, West Virginia; sister and brother-in-law, Patricia and Gene Broccard of Houston, Texas; grandchildren, Heather and Trent Johnson of Champaign, Illinois; Daniel and Kim Pillow Elbon of Champaign, Illinois; Joshua Holbert, Gregory Holbert, Tanya Holbert all of Bethel Park, Pennsylvania and many nieces and nephews. He was preceded in death by his brother, David Douglas formerly of Thurmont, Maryland. He will remain in the care of the staff of Roper Funeral Home and Crematory as he is cremated. A memorial service is planned for 4:00 p.m., Saturday, April 27, 2019 at Piedmont Community Center in Ellijay, Georgia. The family will receive friends from 2:00 p.m. until 4:00 p.m. The family has requested in lieu of flowers, make donations in Mr. Douglas' honor to St. Jude Children's Research Hospital; Ellijay Lions Club; Rocky Mountain Elk Foundation; or American Cancer Society. To send flowers or a remembrance gift to the family of Albert Lee Douglas, please visit our Tribute Store. "Email Address" would like to share the life celebration of Albert Lee Douglas. Click on the "link" to go to share a favorite memory or leave a condolence message for the family.